Originally from Lexington, Massachusetts, Ethan Zohn currently lives in New York City. He is a professional soccer player, having been employed as a goalie for the Highlanders Football Club (Zimbabwe), Cape Cod Crusaders (Cape Cod, Massachusetts) and the Hawaii Tsunami (Oahu, Hawaii). Zohn also played for the 1997 and 2001 U.S. National Maccabiah Team (Israel). Off the field, he has been the assistant coach for the Fairleigh Dickinson University Men's and Women's Soccer Team in Teaneck, New Jersey since 1998. Additionally, since 1999 Zohn has worked freelance as a brand name strategist/developer, responsible for creating names for newly invented products. Zohn attended Vassar College, where he graduated in 1996 with a Bachelor of Arts degree in Biology. Following graduation, he traveled for six months in Australia and New Zealand, where he bungee jumped from one of the highest jumps in the world (400 feet). 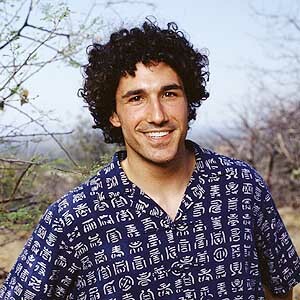 In addition to playing soccer, Ethan Zohn is an aspiring inventor who enjoys scuba diving, photography, running and cooking (he's a vegetarian). He has two brothers, Lenard and Lee. His birth date is November 12.